Dr Alexander Brian Phillips is Visiting Lecturer within Engineering and Physical Sciences at the University of Southampton. Alexander is the head of Marine Autonomous Systems (MAS) development within the Marine Autonomous Robotic Systems group at the National Oceanography Centre. He is a visiting lecturer in the Fluid Structure Interactions group where he contributes to research activities in the Maritime Robotics Laboratory and teaching on the masters level module in Maritime Robotics. Alexander graduated in 2004 from the University of Southampton with a MEng (Hons) degree in Ship Science. This was followed by two years working as a Naval Architect in the offshore construction sector. 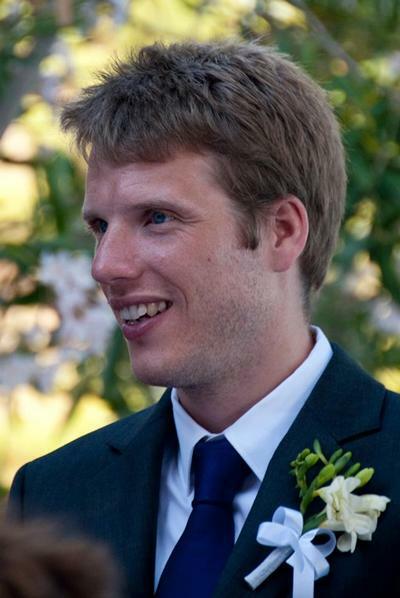 He started his Ph.D. in 2006 at the University of Southampton, focusing on the application of Computational Fluid Dynamics (CFD) to the hydrodynamic design of Autonomous Underwater Vehicles working in collaboration with the National Oceanography Centre. In 2009 he was appointed as the research fellow on the EPSRC funded project Nature in Engineering for Monitoring the Oceans (NEMO) (EPSRC details of grant). This project sought inspiration from nature to enhance the performance of the next generation of AUVs. In July 2012 he was appointed as a New Frontiers Fellow in the Fluid Structure Interaction Research group at the University of Southampton where he established the Maritime Robotics Laboratory, and led the development of the new maritime robotics module. In march 2015 Alexander left the University to concentrate on his research interests in robotic systems. Alexander is interested in the fluid flow around vehicles operating in the marine environment (ships, submarines, yachts etc.). He utilises a mixture of experimental and numerical techniques to gain insight into the flows and to predict the forces and moments acting on maritime vessels. Alexander’s research is developing technologies that will enhance the performance of the next generation of maritime robots. 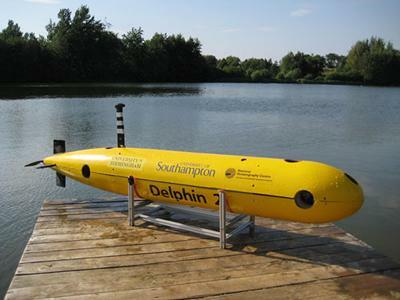 He has led the development of the Delphin2 Autonomous Underwater Vehicle at the University of Southampton working in collaboration with the Marine Autonomous and Robotic Systems Group at the National Oceanography Centre. Much of his work has concentrated on the development of numerical tools to predict the hydrodynamic performance of maritime vehicles. This can then be utilised to: reduce power consumption, improve manoeuvrability and be used to develop enhanced control strategies. Rattanasiri, P., Wilson, P. A., & Phillips, A. B. (2014). Simple drag prediction strategies for an Autonomous Underwater Vehicle’s hull shape. USYS14. Philips, A. B., Steenson, L. V., Rogers, E., Turnock, S. R., Harris, C. A., & Furlong, M. (2013). 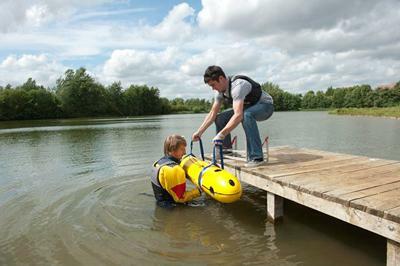 Delphin2: an over actuated autonomous underwater vehicle for manoeuvring research. Transactions of The Royal Institution of Naval Architects Part A: International Journal of Maritime Engineering, 155(A4), 171-180. Rattanasiri, P., Wilson, P. A., & Phillips, A. B. (2013). Numerical investigation of the influence of propeller to the interference drag of twin prolate spheroids at various longitudinal offsets and transverse separations. Indian Journal of Geo-Marine Sciences, 42(8), 964-970. Bassam, A., Phillips, A., Turnock, S., & Wilson, P. A. (2016). Design, modelling and simulation of a hybrid fuel cell propulsion system for a domestic ferry. In U. D. Nielsen (Ed. ), Proceedings of the 13th International Symposium on PRActical Design of Ships and Other Floating Structures (PRADS' 2016) (pp. 545-553). Technical University of Denmark. Bassam, A., Phillips, A., Wilson, P. A., & Turnock, S. (2016). Hybrid fuel cell electric propulsion for marine transport applications: case study of a domestic ferry. Next Generation Marine Power & Propulsion Conference, United Kingdom. Badoe, C., Turnock, S., & Phillips, A. (Accepted/In press). Impact of hull propeller rudder interaction on ship powering assessment. Paper presented at Hull Performance and Insight Conference (HullPIC), . Bennett, S., Phillips, A. B., & Temarel, P. (2015). On the hydroelastic modelling of damaged ships. In Proceedings 7th International Conference on Hydroelasticity in Marine Technology (pp. 507-518). Split, HR: HYEL. Lidtke, A. K., Lakshmynarayanana, A., Camilleri, J., Banks, J., Phillips, A., Turnock, S., & Badoe, C. (2015). RANS computations of flow around a bulk carrier with energy saving device. Paper presented at Tokyo 2015: A Workshop on CFD in Ship Hydrodynamics, Japan. Bennett, S., Downes, J., Dickson, T., Phillips, A. B., & Turnock, S. (2015). Rapid prototyping of flexible models - a new methods for model testing? In Proceedings of 7th International Conference on Hydroelasticity in Marine Technology (pp. 215-227). VIDICI d.o.o, Velika Rakovica, Samobor, Croatia. Bassam, A. M., Phillips, A. B., Turnock, S. R., & Wilson, P. A. (2015). Ship voyage energy efficiency assessment using ship simulators. Paper presented at VI International Conference on Computational Methods in Marine Engineering (MARINE 2015), Italy. Bassam, A., Phillips, A., Turnock, S., & Wilson, P. A. (2014). Assessment of the effectiveness of fuel cells as an alternative technology for marine propulsion systems. The 5th Marine Technology Postgraduate Conference, United Kingdom. Badoe, C., Winden, B., Lidtke, A. K., Phillips, A. B., Hudson, D. A., & Turnock, S. R. (2014). Comparison of various approaches to numerical simulation of ship resistance and propulsion. Paper presented at SIMMAN 2014, Denmark. Tanakitkorn, K., Wilson, P. A., Turnock, S. R., & Phillips, A. B. (2014). Grid-based GA path planning with improved cost function for an over-actuated hover-capable AUV. Paper presented at AUV 2014, United States. Badoe, C., Turnock, S. R., & Phillips, A. B. (2014). Ship wake field analysis using a coupled BEMt-RANS approach. Paper presented at NuTTS ’14: 17th Numerical Towing Tank Symposium, Sweden. Winden, B., Badoe, C., Turnock, S. R., Phillips, A. B., & Hudson, D. A. (2013). Self propulsion in waves using a coupled RANS-BEMt model and active RPM control. 161-166. Paper presented at NuTTs'13: 16th Numerical Towing Tank Symposium, Germany. Man, S. K., Phillips, A. B., Boyd, S. W., Blake, J. I. R., & Griffiths, G. (2012). Bio-inspired aquatic flight propulsion system for agile and maneuverable underwater vehicles. Paper presented at IEEE Oceans 2012, Korea, Republic of. Steenson, L. V., Phillips, A. B., Rogers, E., Furlong, M., & Turnock, S. R. (2012). Experimental Verification of a Depth Controller using Model Predictive Control with Constraints onboard a Thruster Actuated AUV. Paper presented at IFAC Workshop on Navigation, Guidance and Control of Underwater Vehicles (NGCUV’2012), Portugal. Badoe, C., Phillips, A. B., & Turnock, S. R. (2012). Initial numerical propeller rudder interaction studies to assist fuel efficient shipping. Paper presented at NuTTS 2012: 15th Numerical Towing Tank Symposium, Italy. Rattanasiri, P., Wilson, P. A., & Phillips, A. B. (2012). Numerical investigation of the drag of twin prolate spheroid hulls in various longitudinal and transverse configurations. Paper presented at AUV2012, Malaysia. Rattanasiri, P., Wilson, P. A., & Phillips, A. B. (2012). Numerical investigation of the influence of propeller to the interference drag of twin prolate spheroids at various longitudinal offsets and transverse separations. Paper presented at USYS'12: 4th International Conference on Underwater System Technology, United Kingdom. Badoe, C., Phillips, A. B., & Turnock, S. R. (2012). Numerical propeller rudder interaction studies to assist fuel efficient shipping. 1-10. Paper presented at Low Carbon Shipping Conference, United Kingdom. Lloyd, T. P., James, M., Turnock, S. R., Phillips, A. B., Badoe, C., & Banks, J. (2012). University of Southampton Fluid-Structure Interactions Group OpenFOAM research. Paper presented at 2nd Gothenburg OpenFOAM user-group meeting, Sweden. Steenson, L. V., Phillips, A. B., Rogers, E., Furlong, M. E., & Turnock, S. R. (2011). Control of an AUV from thruster actuated hover to control surface actuated flight. Paper presented at Specialists Meeting AVT-189/RSM-028 Assessment of Stability and Control Prediction Methods for NATO Air & Sea Vehicles, United Kingdom. Steenson, L. V., Phillips, A. B., Furlong, M., Rogers, E., & Turnock, S. R. (2011). 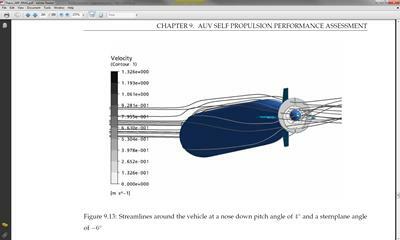 Maneuvering of an over-actuated autonomous underwater vehicle using both through-body tunnel thrusters and control surfaces. In 17th International Undersea Untethered Submersible Technology Conference Lee, United States: Autonomous Underwater Vehicles Applications Center. Banks, J., Phillips, A. B., Turnock, S. R., & Hudson, D. A. (2011). Performing self propelled simulations of a kayak, using a body-force paddle model. Paper presented at 14th Numerical Towing Tank Symposium, United Kingdom. Steenson, L., Phillips, A., Rogers, E., Furlong, M., & Turnock, S. (2011). The performance of vertical tunnel thrusters on an autonomous underwater vehicle operating near the free surface in waves. In Second International Symposium on Marine Propulsors Hamburg, DE: Hamburg University of Technology. Turnock, S. R., Lewis, S. G., Philips, A. B., Banks, J., Winden, B., Hudson, D. A., & Molland, A. F. (2010). Evaluating the self-propulsion of a container ship in a seastate using computational fluid dynamics. Paper presented at William Froude Conference on Advances in theoretical and applied hydrodynamics – Past and Future, United Kingdom. Banks, J., Phillips, A. B., & Turnock, S. (2010). Free surface CFD prediction of components of Ship Resistance for KCS. Paper presented at 13th Numerical Towing Tank Symposium, Germany. Banks, J., Phillips, A. B., Bull, P. W., & Turnock, S. R. (2010). RANS simulations of the multiphase flow around the KCS hullform. Paper presented at Gothenburg 2010: A Workshop on CFD in Ship Hydrodynamics, Sweden. Phillips, A. B., Furlong, M. E., & Turnock, S. R. (2009). Accurate capture of rudder-propeller interaction using a coupled blade element momentum-RANS approach. Paper presented at 12th Numerical Towing Tank Symposium, Italy. Liu, J., Furlong, M. E., Palmer, A., Phillips, A. B., Turnock, S. R., & Sharkh, S. M. (2009). 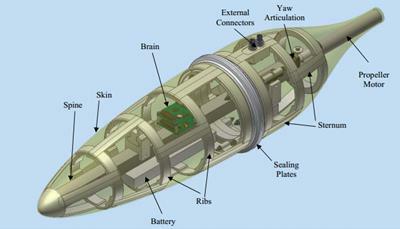 Design and Control of a Flight-Style AUV with Hovering Capability. In Proceedings of the International Symposium on Unmanned Untethered Submersible Technology (UUST 2009), Durham, New Hampshire, 23-26 August 2009 (pp. [9p]). Durham NH, USA: Autonomous Undersea Systems Institute . Phillips, A. B., Turnock, S. R., & Furlong, M. (2008). Comparisons of CFD simulations and in-service data for the self propelled performance of an Autonomous Underwater Vehicle. Paper presented at 27th Symposium of Naval Hydrodynamics, . Godderidge, B., Phillips, A. B., Lewis, S. G., Turnock, S. R., Hudson, D. A., & Tan, M. (2008). The simulation of free surface flows with Computational Fluid Dynamics. Paper presented at 2008 ANSYS UK User Conference: Inspiring Engineering, . Turnock, S. R., Phillips, A. B., & Furlong, M. (2008). Urans simulations of static drift and dynamic manoeuvres of the KVLCC2 tanker. Paper presented at SIMMAN 2008: workshop on verification and validation of ship manoeuvring Simulation Methods, . Akhtman, J., Furlong, M., Jantapremjit, P., Palmer, A., Phillips, A. B., Sharkh, S., ... Veres, S. (2007). SotonAUV: University of Southampton entry into the 2007 student autonomous underwater challenge - Europe. Paper presented at The 9th Unmanned Underwater Vehicle Showcase (UUVS 2007), . Phillips, A. B., Furlong, M., & Turnock, S. R. (2007). The use of computational fluid dynamics to determine the dynamic stability of an autonomous underwater vehicle. Paper presented at 10th Numerical Towing Tank Symposium (NuTTS'07), . Phillips, A. B., Furlong, M., & Turnock, S. R. (2007). Virtual planar motion mechanism tests of the autonomous underwater vehicle autosub. 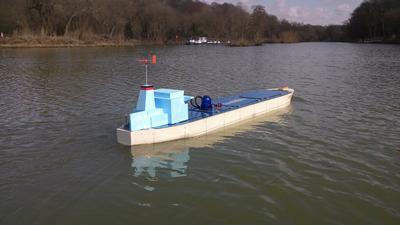 Paper presented at STG-Conference / Lectureday "CFD in Ship Design", .